This potato gnocchi was one of the dishes I learned to make at the Villa Ida cooking school in Sorrento, Italy. A primo is the first course in an Italian meal. Pasta, such as risotto, polenta and gnocchi, is the typical dish served for this course. We learned that potato dough is a frequent choice for fresh pasta because it does not need to dry before cooking. 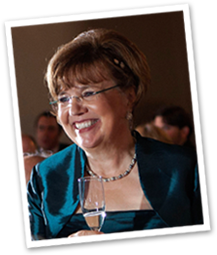 It is fairly easy to make and so satisfying, both in taste and in the knowledge that you made it yourself. To begin, boil potatoes in salted water until they are fork tender. Drain and cool them. Place the flour on your countertop, and using a ricer, rice the potatoes into a mound on top of the flour. Make a well in the center and add the egg, parmesan cheese and a pinch of salt. Fold the ingredients together until it forms a ball. 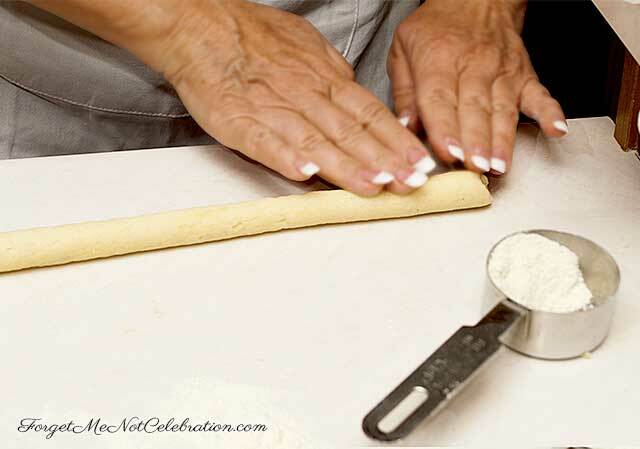 Knead the dough, adding extra flour if necessary, until it is soft and not sticky. Don’t overmix the dough to avoid tough pasta. Cut the dough into eight pieces. Roll each piece into a log about ½” thick. Cut the log into ¾” pieces and place them on a parchment paper baking sheet. 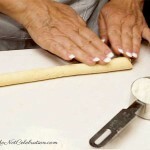 The soft pillows of dough can be served this way or you can make a ribbed design on each pillow using a fork. 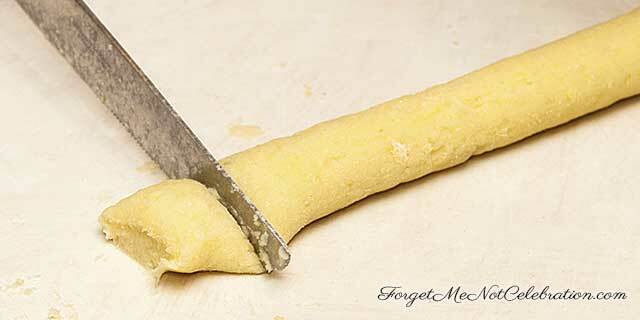 Dip the back of a fork into flour and place a pillow of dough near the top of the tines where the handle is attached. 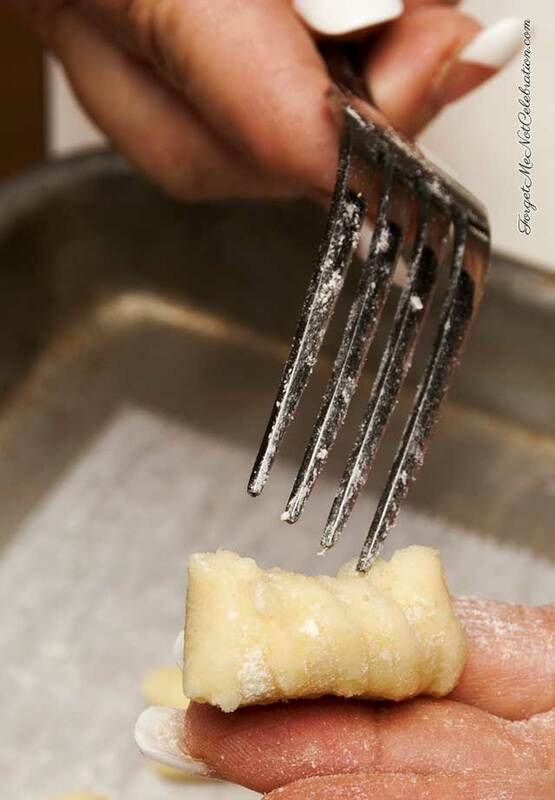 Roll the dough down the back of the fork using a light pressure. Bring a large pot of water to a boil and salt it. Drop about 15-20 gnocchi into the water. When the pillows rise to the top of the water, remove them with a slotted spoon. Immediately toss with the sauce of your choice. 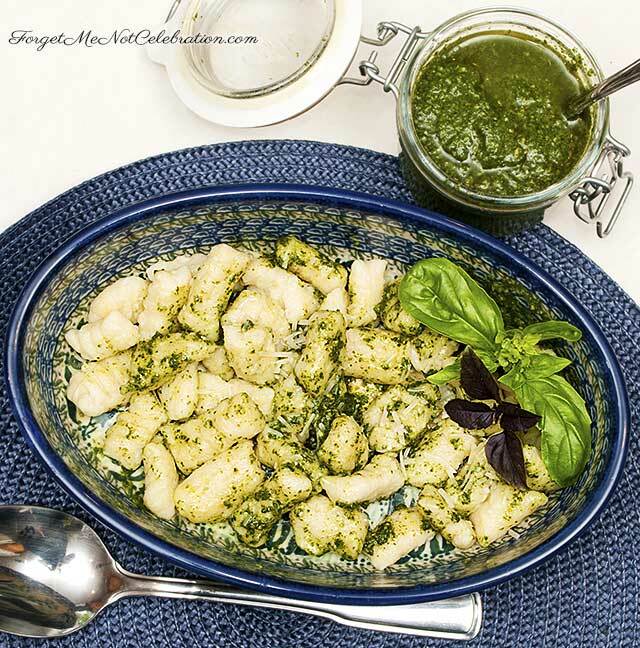 Don’t use too much sauce so as not to hide the delicate flavor of the gnocchi. Continue cooking the homemade potato gnocchi in batches and proceed as above. 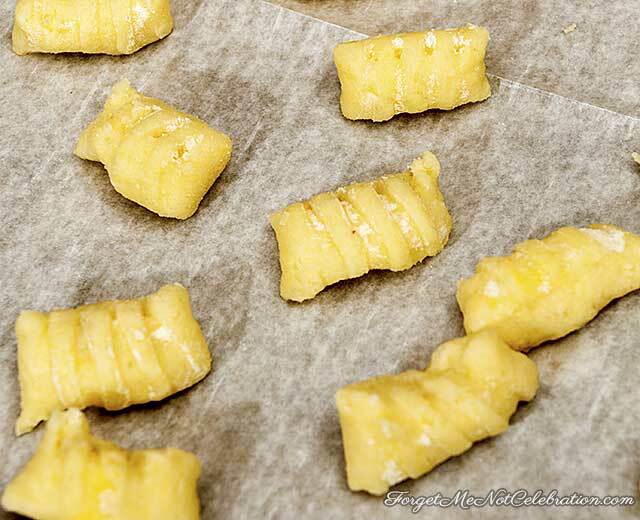 Continue cooking the homemade potato gnocchi in batches and proceed as above. Enjoy! !